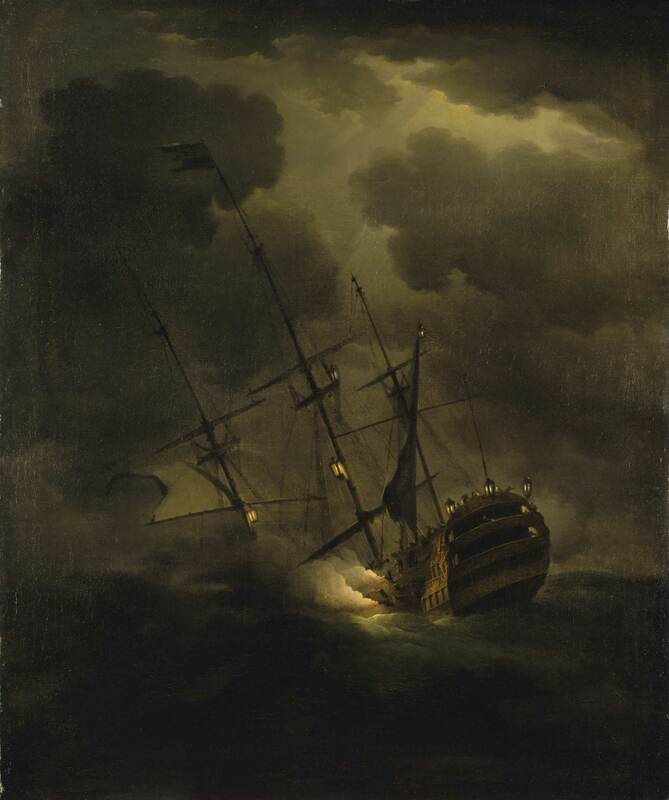 On October 4, 1744 a British fleet led by HMS Victory carrying the flag of Admiral John Balchen encountered a ferocious storm in the Western Approaches of the English Channel. The fleet was dispersed with all ships arriving in port save Victory. A search was mounted. Captain Thomas Grenville, HMS Falkland, landed at Guernsey to replenish his supplies and discovered that wreckage from Victory had washed up there. This led to the belief that Victory had struck Black Rock, part of the Casquets, during the night and gone down with all hands. Now Victory has been found. Just came across this video clip of HMS Victory firing a broadside at dusk. It is probably the first broadside fired by Victory since Trafalgar. It is impressive even when one considers the cartridges are undoubtedly the equivalent of salute cartridges and not full charges.